The outdoor wall mounted lantern LG105.G300 is made by cast iron. This outdoor wall lantern for home, yard, terrace and balcony is offered with luminary and completes the garden furniture category. The lighting lantern is powder coated. The coating is applied electrostatically and is then cured under heat. It is used to create a hard finish that is tougher than conventional paint, which gives the wall lighting bracket a higher resistance over time. 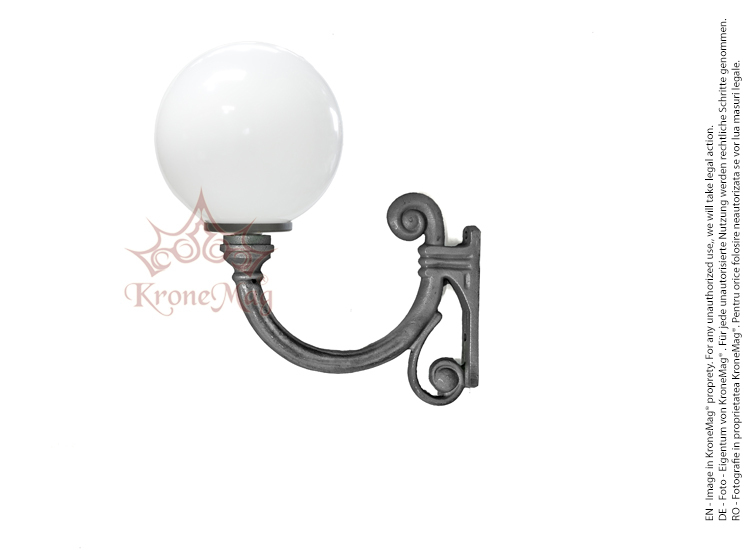 Wall Lighting Bracket ME-H9 with GLOBE400The wall lighting bracket ME-H9 is made by cast iron. The ..
Wall Lighting Bracket ME503 with GLOBE400The wall lighting bracket ME503 is made by cast iron.The ..